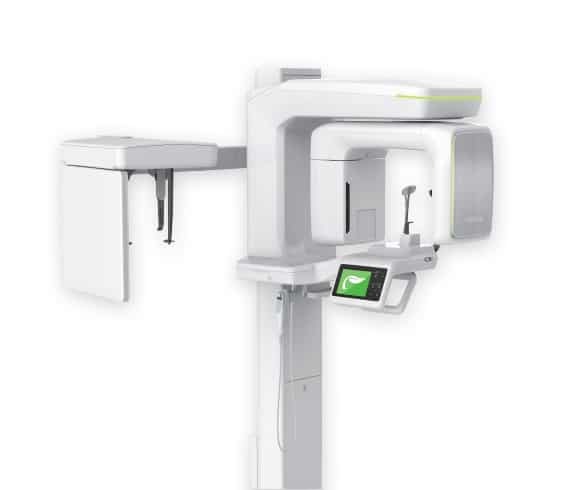 Our patient’s safety and comfort is our #1 concern which is why we use state of the art technology like this new Green CT 2 advanced 4-in-1 digital X-ray imaging system that provides high-quality images with lower radiation compared to traditional x-ray and CT scanners. This imaging system takes 3-D images of your head and this helps us see canals in teeth when doing root canals, place and evaluate areas for implants, build guides to place implants, diagnose troubled teeth giving us the ability to see cracks in teeth, can even be used to evaluate airway in sleep apnea. It can help us evaluate and diagnose tumors when dealing with cancer. To take a CT scan it takes 4.2 seconds and uses 11-133 usv of ionizing radiation. In contrast, a medical CT takes 40 minutes and uses 1200-3300 usv. Being able to use low dose X-ray radiography in our practice is truly amazing! We have the first one of these machines not only in Chattanooga but in the state of Tennessee. It is amazing technology that will help us provide better care for our patients. Traditional X-ray film is replaced with a flat electronic pad or sensor. The image goes into a computer, where it can be viewed on a screen, stored or printed out. 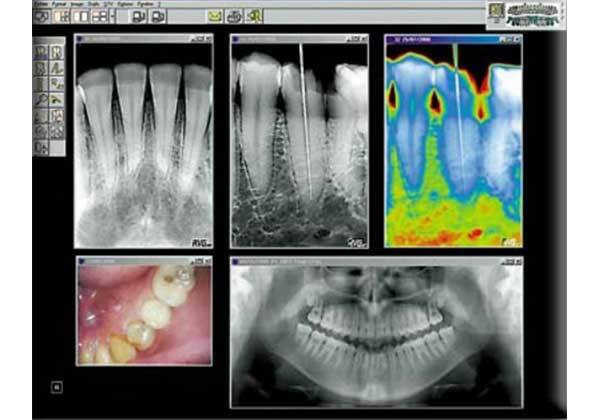 Digital X-rays taken at different times can be compared using a process that highlights differences between the images and small changes can be caught earlier. 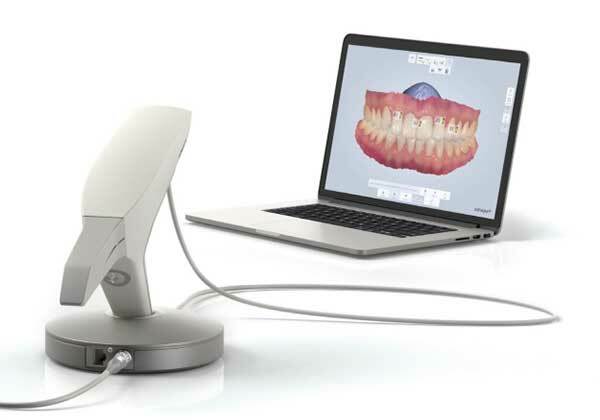 The TRIOS® digital impression scanner allows us to take quick, high-quality, accurate impressions with no discomfort for the patient caused by traditional impression materials. We love this scanner because it produces clinical lab quality results and reduces the number of appointments for our patients and time spent by our staff. 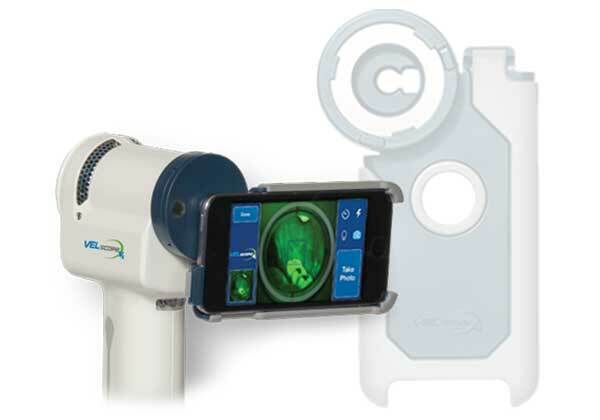 The VELscope VX is a wireless, handheld scope used to screen for mouth cancer that uses natural tissue fluorescence to enhance the way our dentists visualize oral mucosal abnormalities that might not be apparent or even visible to the naked eye. 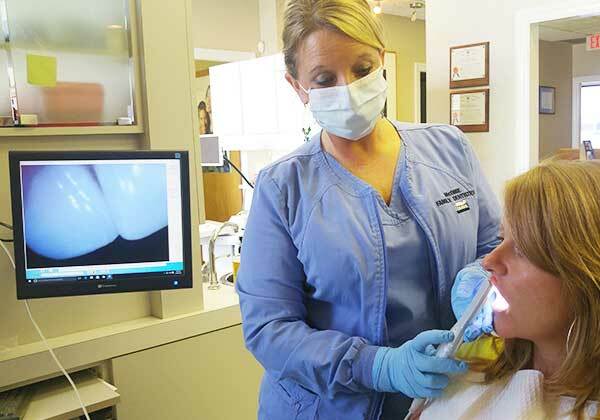 An intraoral camera is a small state of the art dental device that really helps you see for yourself exactly what is happening in your mouth. You see exactly what the dentist does and it allows you to make informed decisions about your treatment.